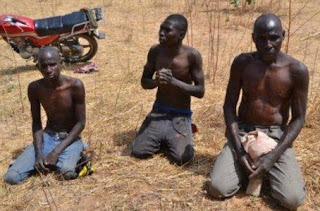 Three suspected members of the Boko Haram sect have been arrested in Ajao Estate area of Lagos. The suspects were arrested by members of the Hausa Community in Lagos. The suspected terrorists were hiding among some Hausa acquaintances before they were fished out by the leaders in the area, according to an Islamic cleric, Mohammed Abdullahi, who spoke yesterday during the Isolo Townhall meeting organised by the Lagos State acting Commissioner of Police, Edgal Imohimi.